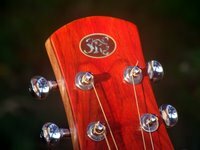 Official Luthiers Forum! • View topic - NEW SERVER GOES ONLINE TONIGHT! Post subject: NEW SERVER GOES ONLINE TONIGHT! Just a heads up, we are moving to the new server tonight. There will be a point in time where we can’t make any posts or updates to the forum, that will be the migration period from the old server to the new server. If anything seems wonky that why. We’ll address any issues after the migration. Post subject: Re: NEW SERVER GOES ONLINE TONIGHT! Any configurations that you run into post them here thanks. So far it seems to be working well with Chrome and Android. +1 All good for me.